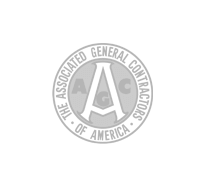 Atlanta homeowners and business owners may experience a large range of problems affecting their properties. 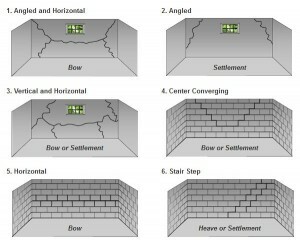 While some people may not be able to keep water from flooding their basement, others might have a problem with bowing walls. Whatever the problem is, know that many other people in the Atlanta area are experiencing the same thing, and Atlas Piers of Atlanta is here to help. The most common foundation problem in Atlanta is cracking. 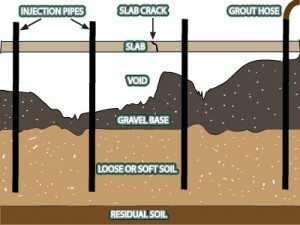 Cracks can be big or little, deep or shallow, horizontal or vertical. Whatever the size or shape is, it should not be ignored. Cracks often show up in basements, either on the concrete floors or sprawling up the walls. Cracks may also radiate from your door frames or window sills. These cracks indicate an uneven foundation that is causing your home to shift. Many Atlanta homeowners elect to ignore the cracks, as they are under the impression that a few small cracks couldn’t possibly have a harmful effect on something as big and stable as their home. However, these cracks can cause big damages, especially when it comes to water. When in businesses, cracks can give the building an unprofessional look and possibly turn customers away. Another problem common to Georgia homes and businesses is a shifting foundation. A shifting foundation causes many of the problems in your business or home, including the problems talked about above. When the soil beneath your foundation doesn’t work like it’s supposed to, the foundation will begin to sink. The soil is supposed to be well compacted and able to hold your foundation up. But oftentimes, the weight of Atlanta homes pushes the soil down, causing the entire house to shift on top of it. This can cause numerous problems, such as leaning or bowing walls, sticking doors or windows, and garage column cracks. A sinking foundation can be dangerous for your home or business, endangering your family and your customers. Luckily for homeowners and business owners, Atlas Piers of Atlanta offers many foundation repair solutions. These solutions will repair your home or business and leave it looking as good as the day it was built. It is important to remember that, no matter how small these issues may appear, a foundation problem is a big deal and should not be dealt with personally. This can be dangerous and might hurt the home or business even more. Instead, contact Atlas Piers of Atlanta for a professional repair job. Helical Piers. Helical piers are installed in a process called underpinning. They are screwed into the ground beneath preexisting walls. These piers are designed to lift your foundation to its original state. Upon installation, the load of your home or business is transferred from the weak soil near the foundation to more compacted soil further down. This transfer prevents future settling and corrects any that has already taken place. helical piers are an excellent repair for many problems, such as sloped floors and slab cracks, because they can be installed in any weather and cause very little disturbance to your home. Push piers. Push piers have a lot of similarities to helical piers. They are also installed under preexisting walls, and they also serve to push your foundation up into its original position. Unlike helical piers, which have a screw shape, push piers are like flat rods, and they are simply pushed into the ground. Push piers are made of durable steel and can be installed in any weather conditions. New Construction Piers. Why wait for your home or business to experience problems before you protect it from a sinking foundation? 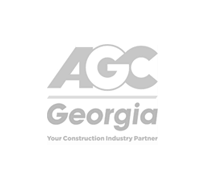 Atlas provides new construction pier installation for Atlanta homes and businesses. These piers will protect your home and business from the inevitable sinking that will occur without them. New construction piers are a valuable investment for any new home or business and can be installed much easier than repair piers. Pressure Grouting. 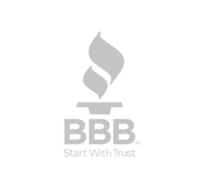 When it comes to owning a business, you cannot risk your customer’s safety. And as a homeowner, you don’t want to put your family in danger. Oftentimes, sidewalk cracks and driveway cracks are a dangerous hazard that may need support. These cracks are easy to trip over, especially for the elderly, and some may even collapse and leave gaping holes in your concrete. Pressure grouting is an easy solution. Usually, cracks in your sidewalk or driveway are caused by sinking soil. The soil sinks beneath these cracks and leaves a pocket of air that can’t support the weight of the sidewalk or drive. This creates the cracks and heaves. Pressure grouting involves drilling a hole into your sidewalk and filling the hole with a high concentration concrete solution. 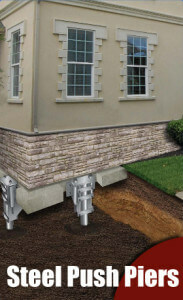 Atlas Piers offers many more commercial and residential foundation solutions. We are only a phone call away. 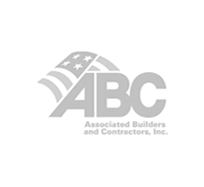 Call us today for more information about our foundation repair solutions for commercial and residential buildings.